Long car trips with children can be a drag, and let’s face it—sometimes, adults don’t handle long-distance car travel too well, either! If you’re looking for a way to squash passenger boredom as you drive, it’s time to consider a visit to Capital Customs. Serving the Albany area, we’re proud to offer some of the best mobile video options available on the market today. When you call on us, you’ll be able to pick from our massive selection of car video products for a personalized mobile entertainment experience. From car DVD players to video gaming connectivity, we have everything you need to make your next road trip a success. Call us today to discuss your options, or to receive a free cost estimate! Car video components are popular because they offer so many entertainment options for you and your passengers to enjoy. Whether you want to keep your children entertained with their favorite animated movie or offer other passengers the opportunity to enjoy a show while you put the miles behind you, you’ll find that mobile video systems from Capital Customs will make your road trip experience that much easier. Regardless of what your needs are, Capital Customs will help you select the car DVD system you desire. Once you’ve selected your preferred in-car DVD player/video equipment, just let us know exactly where and how you want it installed. We’ll integrate the car video components into your vehicle with precision and expertise. Our team can handle everything from overhead DVD player installation to headrest monitor installation. When you enlist the help of the professionals at Capital Customs, your new car DVD system will be something you’ll want to test out immediately, and use again and again. Installing car audio video equipment is an investment, a way to enhance your vehicle – and that means you definitely don’t want inexperienced, second-rate installers doing it for you! If car video systems are installed improperly, the visual and audio components will be completely out of whack. They may even completely breakdown. Protect your investment by entrusting true professionals with the job. Our team is fully licensed, bonded, and insured for your security. Additionally, we offer lifetime warranties on all labor. With more than 13 years of industry experience, you can trust us to provide you with flawless installation services and mobile video technology that will serve all your entertainment needs. 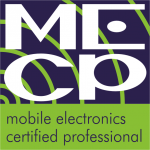 To learn more about your mobile electronics options in Albany, Schenectady, and the rest of the Capital Region, simply contact Capital Customs via phone or email today. Or better yet, stop by our shop and say hello in person!